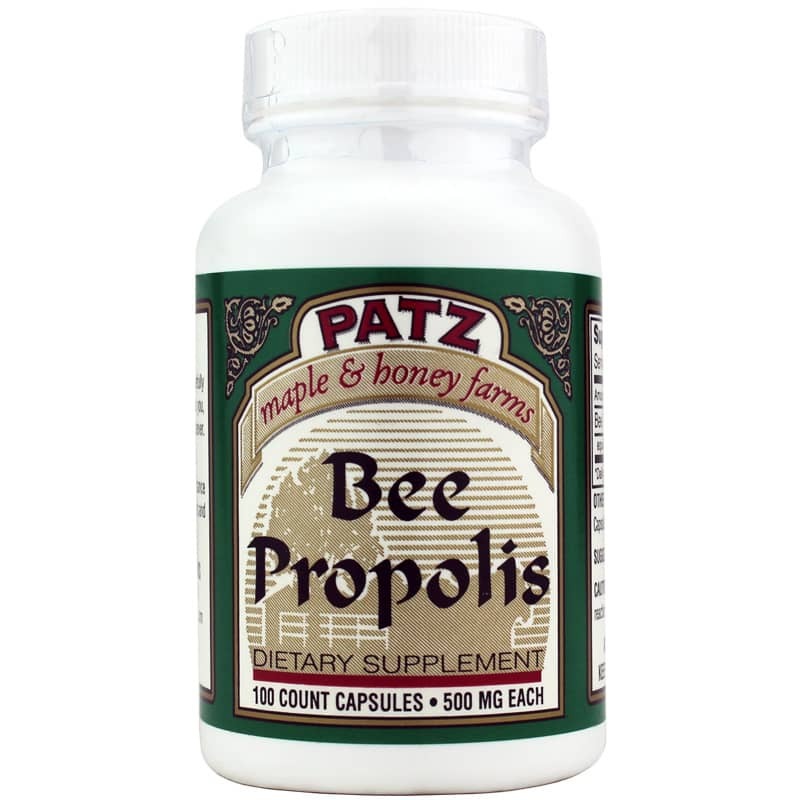 For support of a healthy immune system, Bee Propolis 500 Mg from Patz Maple & Honey Farms is a dietary supplement made from resin collected from worker bees after they combine balsams, waxes, essential oils, and pollen. Propolis is a sticky substance that bees use to seal the hive and protect it from microorganisms. 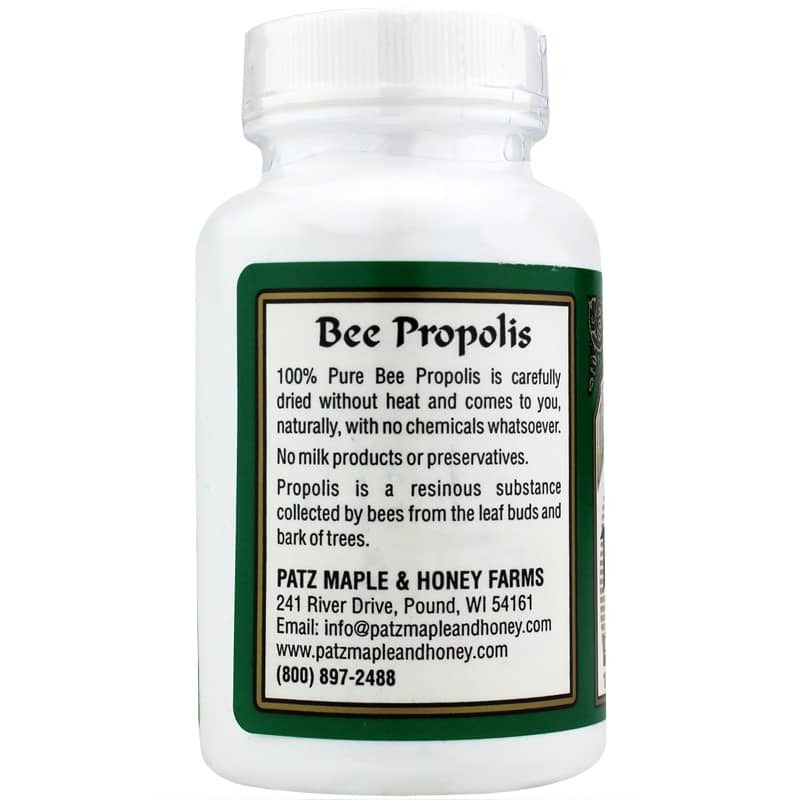 Ingesting propolis may support a healthy immune response, mucous membranes, temporary relief from occasional coughing, and a healthy digestive system. The ingredients that make up propolis can vary, however a “typical” mixture contains balsams, waxes, essential oils, and pollen. 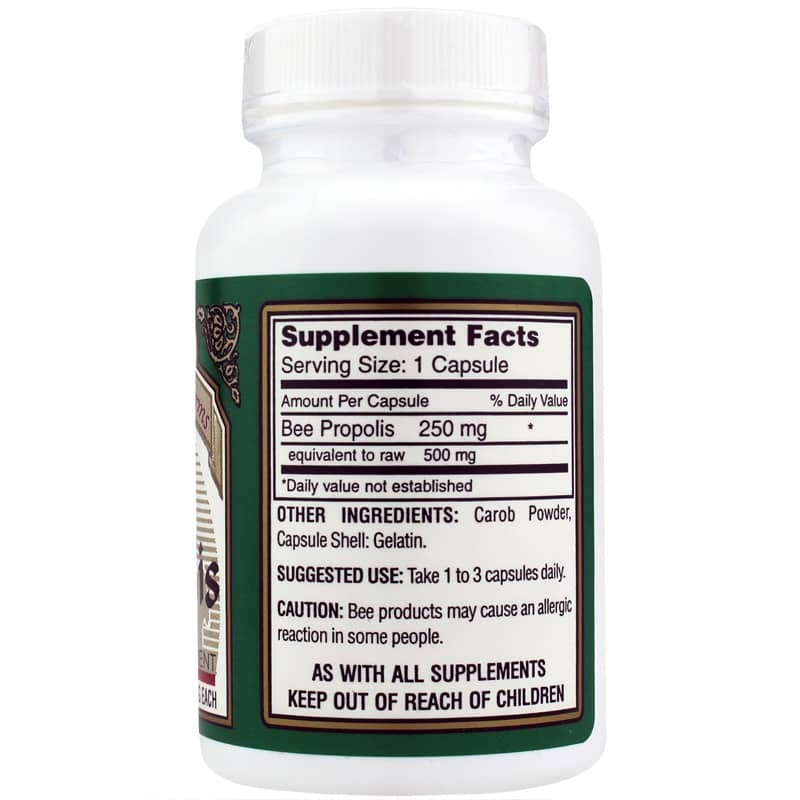 Propolis may also contain compounds such as polyphenols, a type of flavonoid that may provide antioxidant support. The mixture may also support oral health, healthy-looking skin, and a healthy immune response to microorganisms. In order to preserve the nutrient content, Patz Maple & Honey Farms slowly dries the substance without heat. Support your healthy immune system with a blend of natural ingredient made by bees, carefully dried, and placed into capsule form that you can take daily. Other Ingredients: carob powder, capsule shell: gelatin. Adults: Take 1 to 3 capsules daily. Bee products may cause an allergic reaction in some people. If you are pregnant or nursing, please consult your healthcare professional before using this product. Keep out of the reach of children.